Peanut Butter is a 7-year-old neutered pit bull still searching for his perfect family! He is a loving boy whose hobbies include snuggling with his favorite blanket, playing fetch outside, and a good game of tug-of-war! He greets his foster mom with enthusiasm every time she walks in the door and is very affectionate. 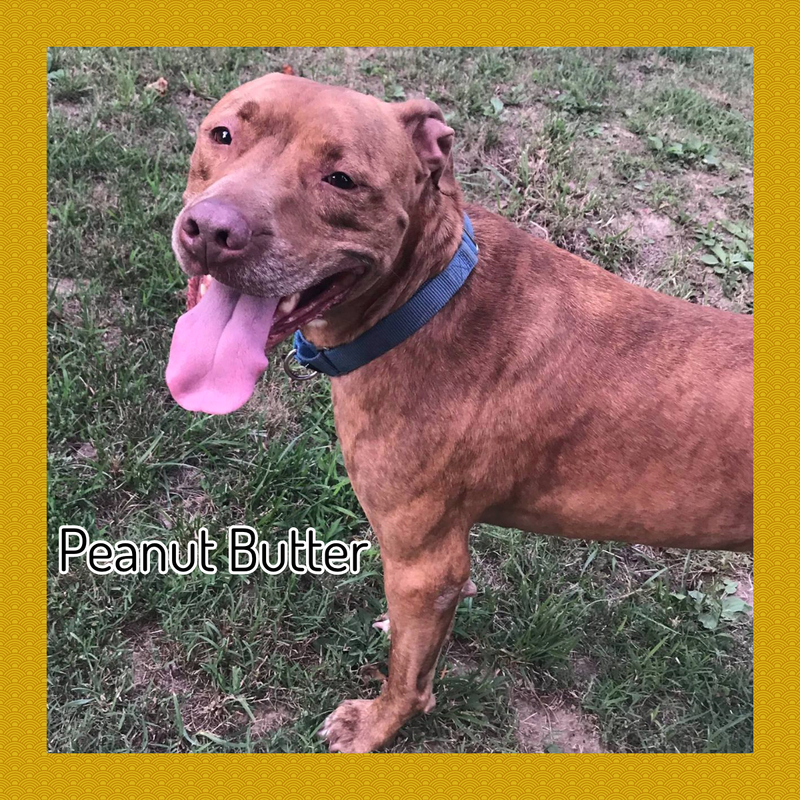 Peanut Butter is great on a leash and he enjoys going on hikes and for walks. He is house-trained but on occasion if he gets overly anxious he may mark a spot on the carpet. He prefers to roam the house when his humans are gone as opposed to being crated and he does fairly well! Peanut Butter’s perfect home would include a yard that allows him to run out all of his energy! He would also love to have a family that is home often as he does have separation anxiety. Lastly, he would need to be the only pet in the home! PB has been patiently waiting for almost 2 years to find a home he can finally call his own. He may be a little picky, but he will be the perfect companion for the right person or family! We require all animals in the household to be up-to-date on core vaccines. Dogs must be vaccinated against rabies, canine distemper, and Bordetella. They must also have a current heartworm test. Cats must be vaccinated against rabies and feline distemper. All of our animals are in foster homes. We will schedule meet and greets after approving your adoption application to ensure our fosters are only meeting with serious applicants. Please allow 1-2 weeks for approval as AWFP is run by volunteers who are full-time veterinary students.